Overview: Buzzzzz, get busy! The hive is alive and making sweet, sweet money, honey, and Queen Bee is itching to reward the busiest bee in the business with up to 2,400 bonus points! 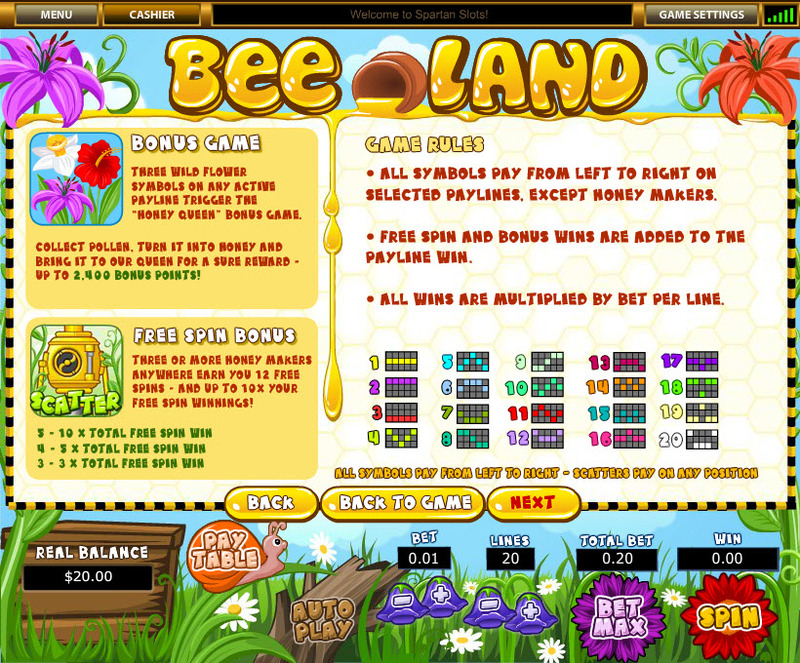 Queen Bee's crown is wild, and pays out big multiples if you spin more than one. 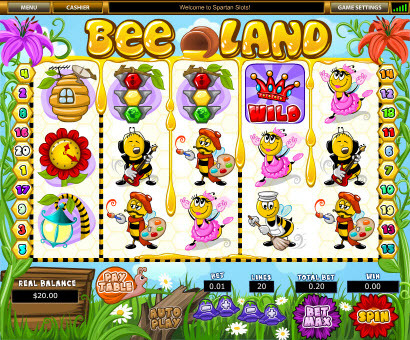 The hive's Honey Makers mean a dozen free spins and up to 10x your free spin winnings, while three or more wild flowers take you to the "Honey Queen" bonus game: collect pollen, turn it into honey and bring it to your queen for a sure reward - up to 2,400 bonus points! 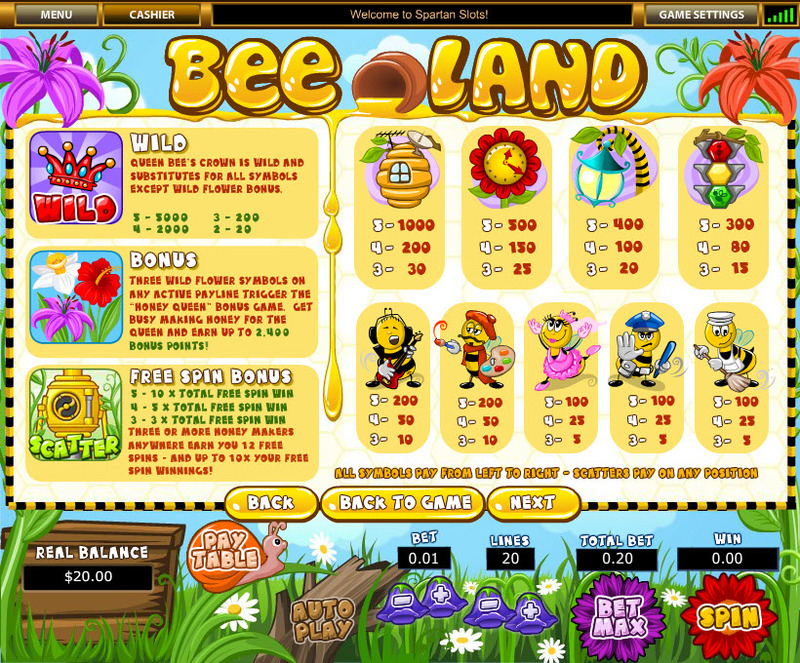 Similar Slots: If you like Bee Land, you might like these other slot machines from Top Game: Dougie's Delights, Forest Frenzy, Grave Grabbers, Slot Dunk, Slotstructor, Viking & Striking.